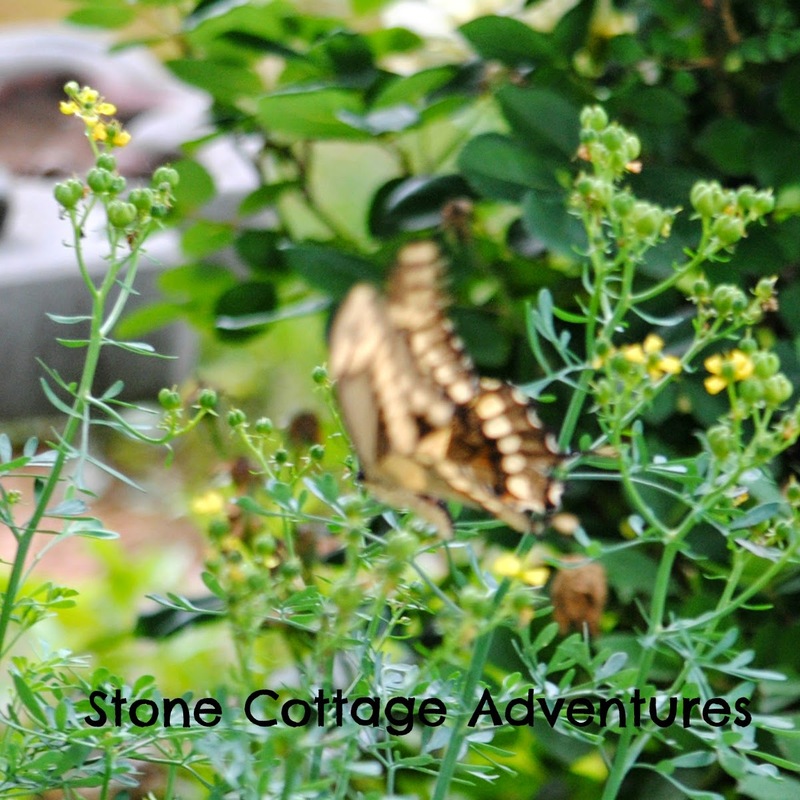 Stone Cottage Adventures: Garden Guest: Tiger or maybe Giant Swallowtail? 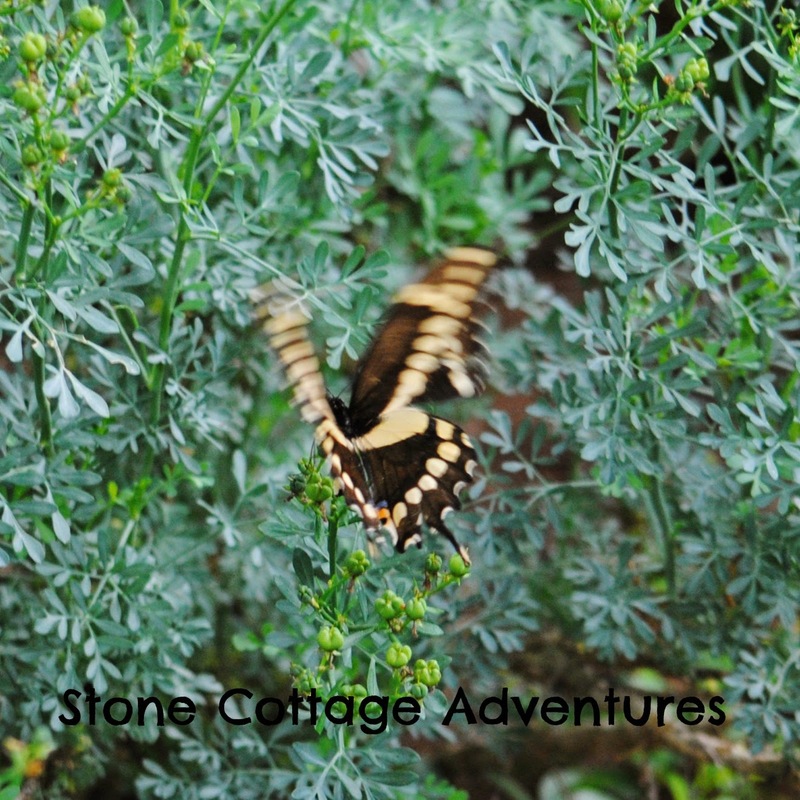 OK, so there is a much better photo of a Tiger Swallowtail HERE. These photos are pretty blurred, even after editing. I'm not sure if this is a Tiger or a Giant Swallowtail even though I've cruised several sites trying to figure out the difference by appearance. The blue gray plant in the background is Rue. It's a host plant for Giant Swallowtails. 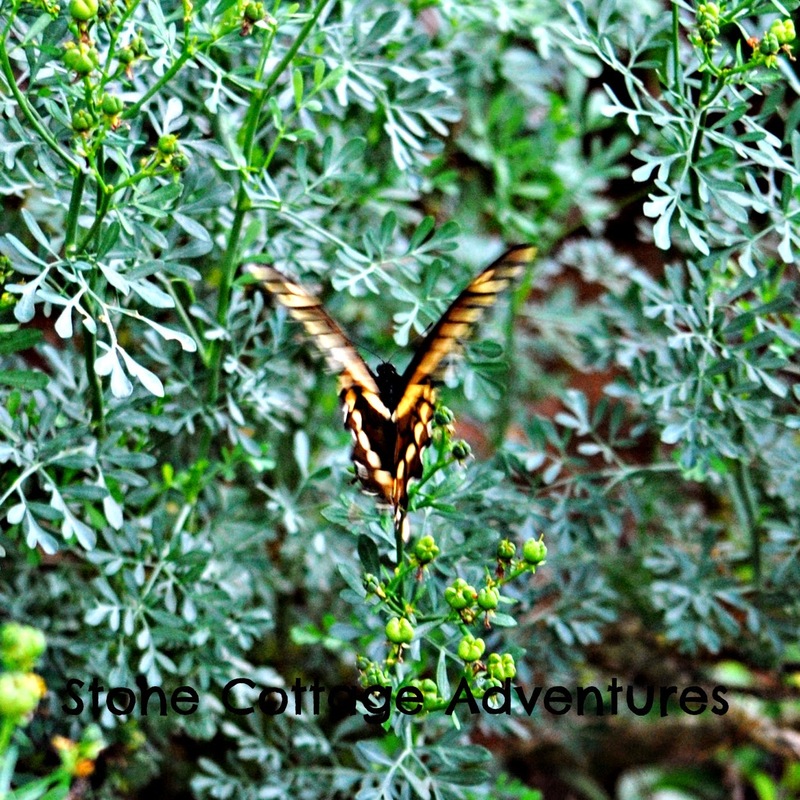 This butterfly was almost completely black.